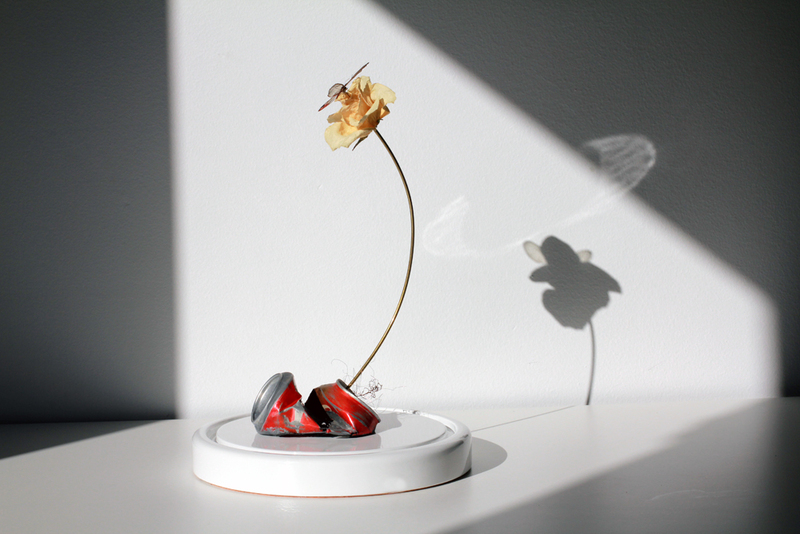 Sculpture flower light - Amarist studio - Artwork gallery. In a fragile, almost apocalyptic future, Aeris Collection discovers, captures and protects those magical signals of hope that Nature suddenly gives us. A fearless statement of patience and perseverance materialized in the most innocent, naïve beauty. The result of the Collection is a series of atmospheres enclosed to provide us with the light and desire to work for a better future. 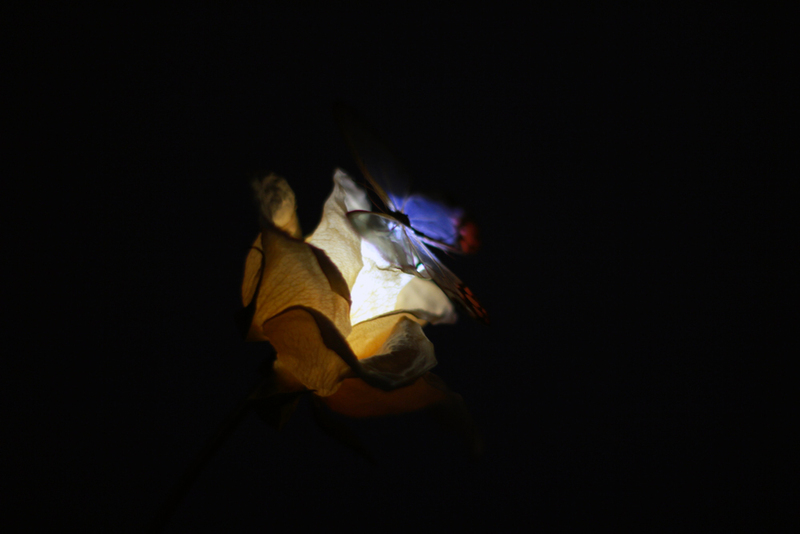 Each one of the captured atmospheres is composed by a dried flower with an inserted Led light in its heart. 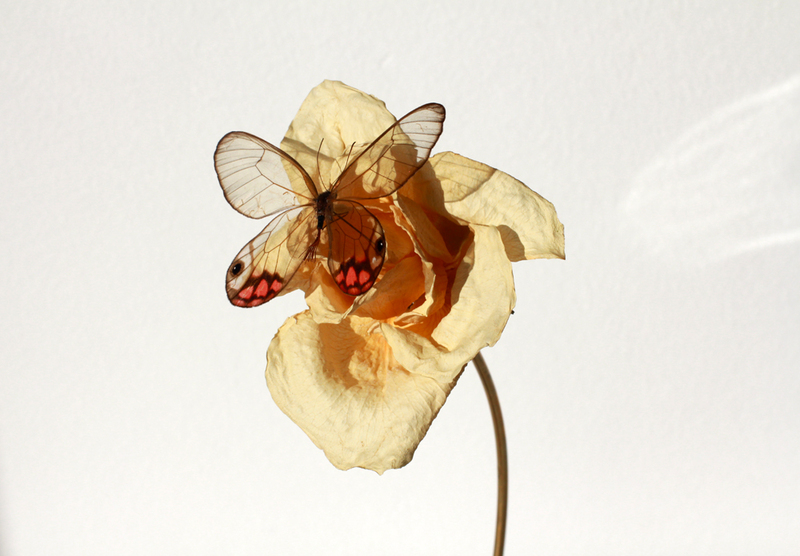 Each flower grows from a different type of base representing the harms of our civilization. 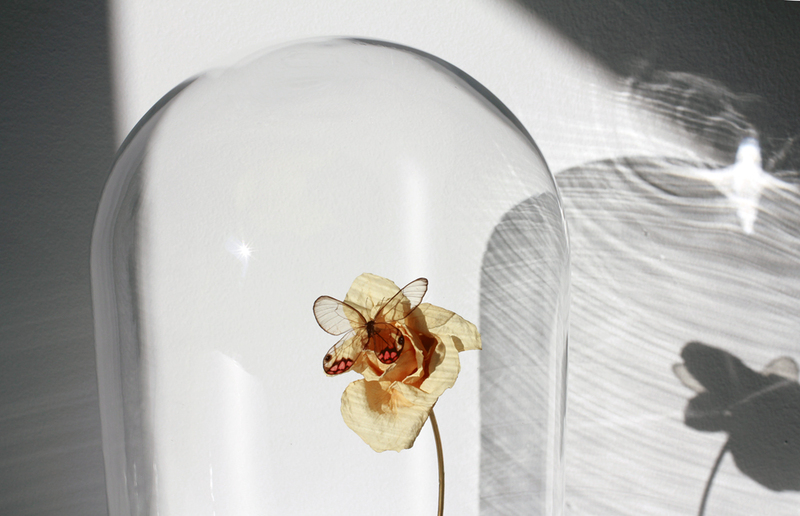 Finally, the set is enclosed by a glass urn to protect and enhance the piece as a whole object of desire. 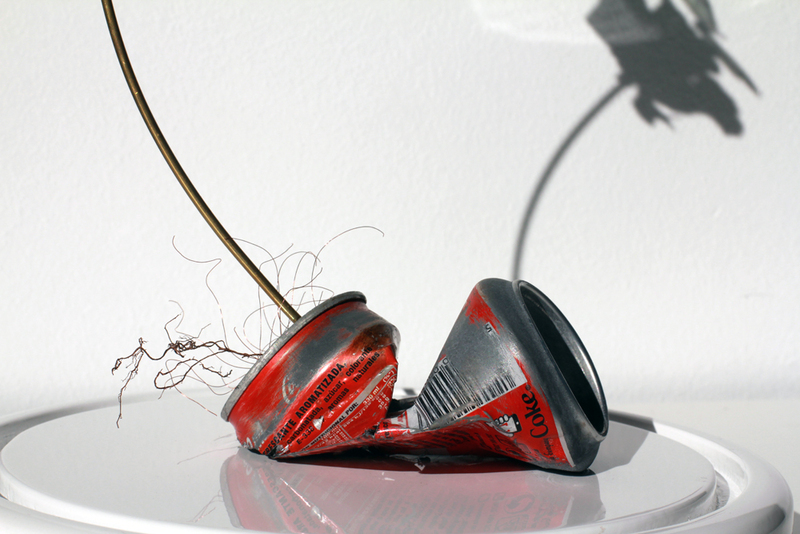 Arts and techniques: Taxidermy, sculpture, electronics. 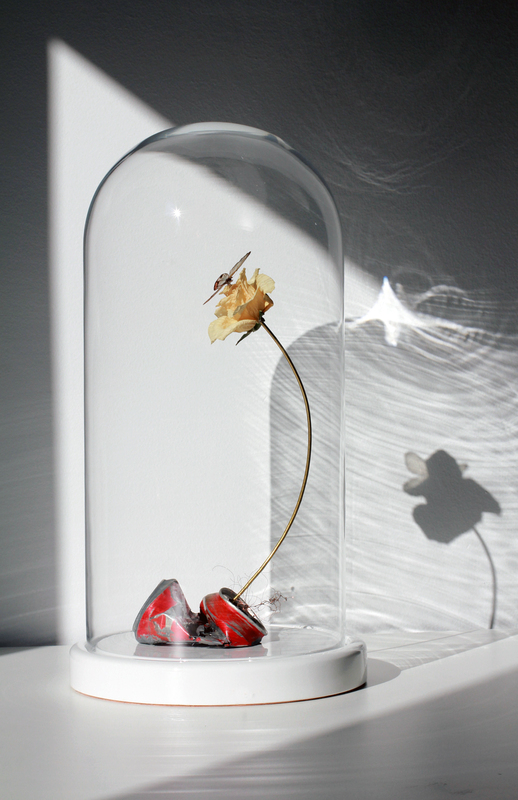 Materials: Dried rose and butterfly, brass, glass and wood. Height: 48 cm / 18,9 in. Length: 25 cm / 9,8 in. Width: 25 cm / 9,8 in.